We Work on All Models of Garage Door Openers!. 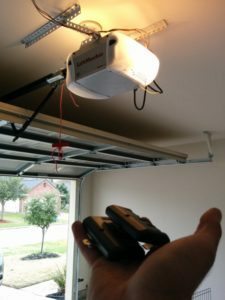 If you’re looking for the convenience and security of a contemporary garage door opener and want to maintain or increase the value of your home, then it’s advisable to look into new garage door opener installation in Austin TX. When Do I Need Garage Door Opener Installation? Industry experts estimate that garage door openers last approximately 10 years. 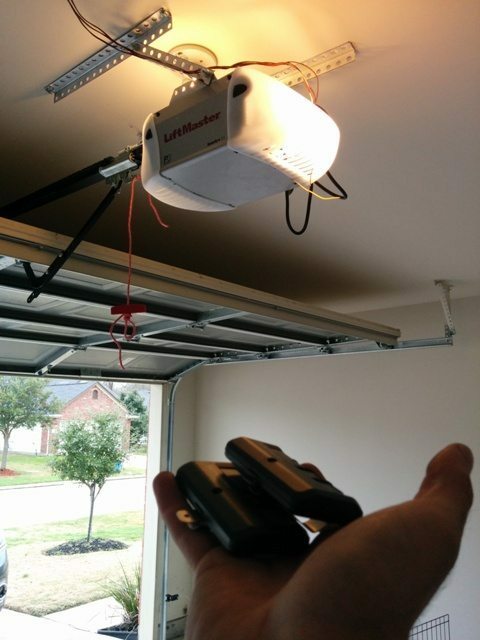 If your garage door opener is failing or doesn’t work at all anymore, then obviously, you need to replace it. However, it’s also important to note that there have been significant developments in garage door opener technology in recent years. Because of this, a door that’s older than five years or so can be the weak spot of your property. The reason is simple: contemporary garage door openers are manufactured using highly sophisticated technology. This not only makes the opener mechanism more robust, but it also allows them to be integrated with a home’s security system. And that’s why experts recommend you have professional technicians works your new garage door opener installation in Austin. Even if you’re a seasoned DIYer, there are so many aspects to consider that it’s easy to make a mistake, which could compromise the effectiveness and security of your garage door opener. 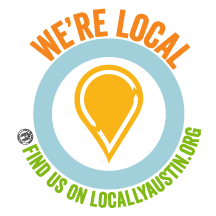 The team of specialized technicians at Chameleon Garage Door have years of experience installing garage door openers for residential customers in the Austin area. We understand how important it is to have an opener you can rely on to function smoothly, so you’re never faced with obstruction getting in or out of your garage. We also appreciate how this part of your property can add significant value to your home, especially if it’s integrated with your home security system and has elements such as motion-sensors that automatically switch on the lights when somebody approaches the garage, sensors that prevent the door from closing on a vehicle or person, remote control that can even be accessed via your smart phone and a programmable timer that ensures the garage door is locked by a certain time. 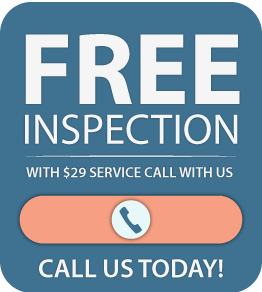 If you’re looking for the best garage door opener installation in Austin, TX. contact the specialists at Chameleon Garage Door for a free quote today. We’ll always work with your concerns and budget, so you can be sure you get an opener that ensures convenience and security. We also offer Garage Door Repairs.